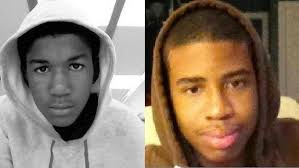 SPEAK ON IT: What Do You Tell Your Kids About Trayvon Martin and Jordan Davis? One of the lingering questions that have remain following the untimely deaths of both Trayvon Martin and Jordan Davis is, "What am I supposed to tell my kids?" I'm not a parent, but I have black men in my life that I most certainly love. I have nephews, uncles, cousins, and friends who mean everything to me. I love these men and boys with my entire heart and just the thought of something happening to them is enough to make me weep. So what do I say to them about the value of their life? I can tell them that they are the sun, the moon, the mountain, and the river, but that means nothing when we have a justice system that says their life is worth absolutely nothing. A justice system that openly declares 'open season' on them because their simple existence is enough for some to find them threatening. How do we instill into our boys, and let's not forget about our girls, that their life matter when jury after jury counter this claim? How do we tell them justice is blind, but somehow she always manages to see the color of their skin? She sees their skin, but somehow she manages to assuage the guilt of others who see that same skin as something threatening. She is able to turn a blind eye to people who use words such as thugs, gangsters, and hoodlums to justify their need to take a black child's life. What do we say to our kids when they ask us what did Trayvon and Jordan do that warranted their no longer being here? What action did this young men commit that was so heinous that deadly force was warranted. What did Renisha McBride do that was so threatening that she deserved to be shot through a closed door? Why was it necessary for the police officer to fire all those shots at Jonathan Ferrell? When did walking in the rain and playing loud music equate to shots being fired? What do we say about a country that is quick to pat itself on the back for electing its first black President, but refusing to acknowledge the systemic racism that continues to the plague this country? For as much progress as America has made, it still has a long way to go before the real promise of America is ever reached. I remember being taught the song "This Land Is Your Land," when I was growing up. I remember singing it with such pride. As long as black children continue to be gunned down without impunity, this land shall never be made for you and me because the you this song refers to looks nothing like me.